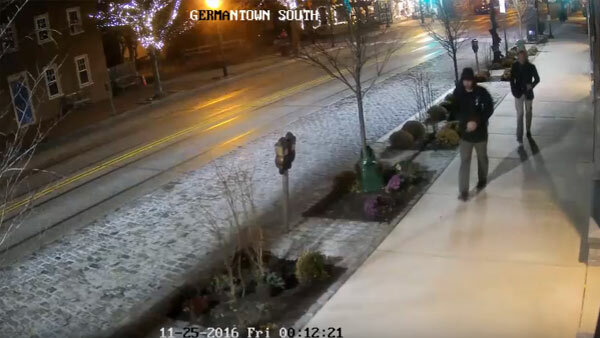 Police are looking for two men after a store was hit with anti-Trump graffiti. 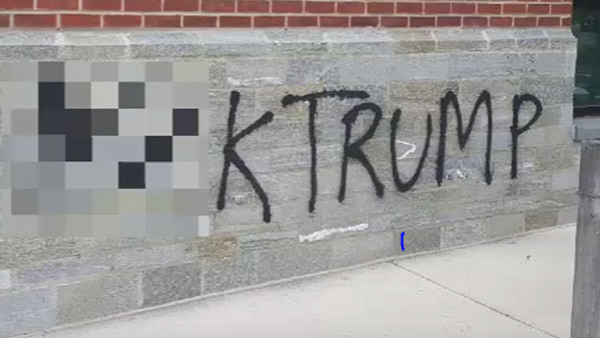 PHILADELPHIA (WPVI) -- Philadelphia police are looking for two men who vandalized a store with anti-Trump graffiti. 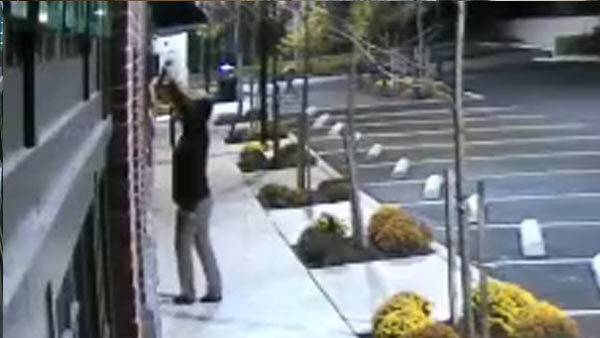 It happened shortly after midnight on Friday, November 25 at the Fresh Market located at 8200 Germantown Avenue. 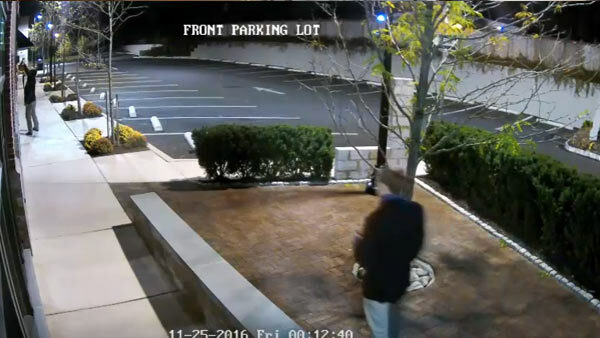 Investigators released surveillance video showing the unidentified males walking toward the store. 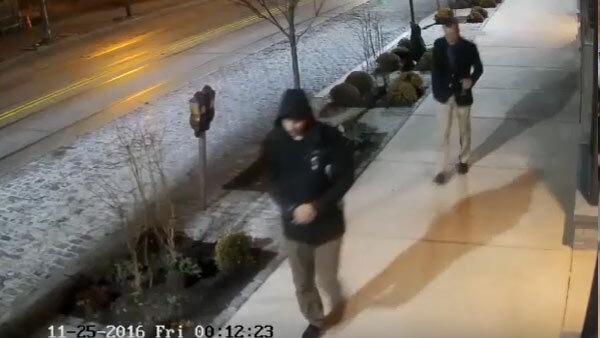 Philadelphia police are looking for two men who vandalized a store with anti-Trump graffiti. 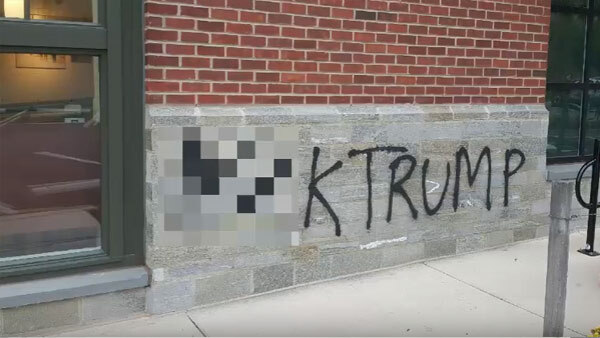 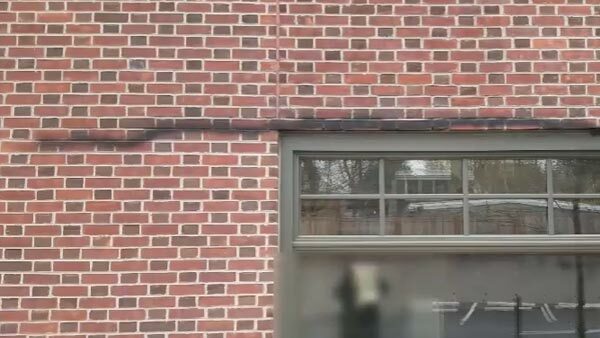 One suspect is seen spray-painting the building, while the other apparently took pictures or videos of the messages left behind. 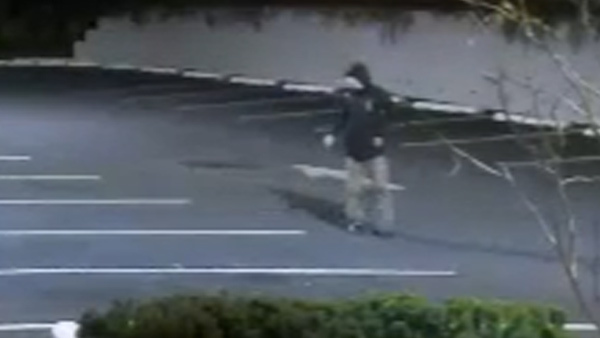 Both fled on foot. 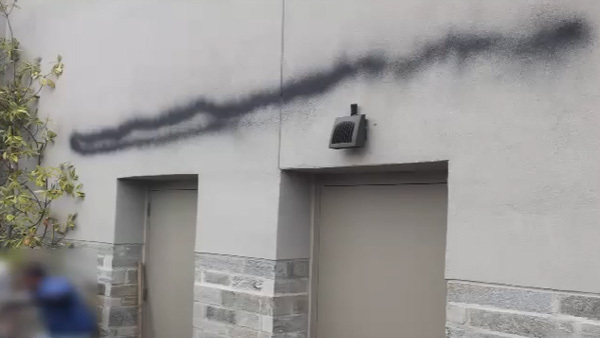 The cost of the vandalism is between $3,000 and $10,000, police say. 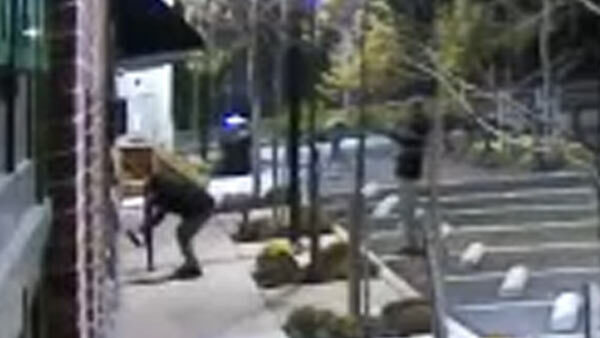 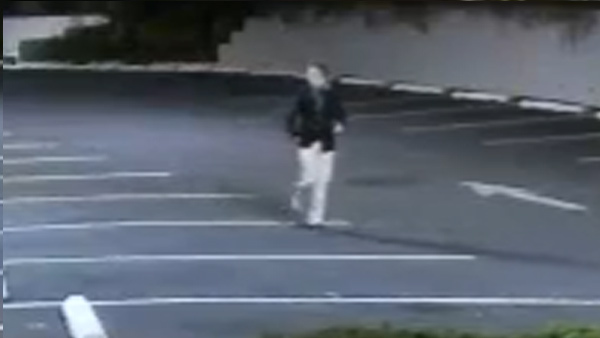 Suspect #1: White male, 20-30 years-of-age, 6'0", medium build, wearing a blue hooded jacket, gray pants, black shoes. 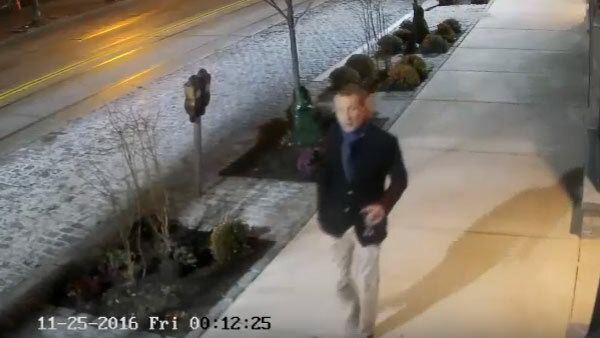 Suspect #2: White male, 30-40 years-of-age, thin build, reddish hair, wearing a blue blazer, tan pants, blue scarf, black shoes, and carrying a wine glass.